Paragon Software Systems has released the latest version of its routing and scheduling software. With transport operators around the globe struggling to meet growing customer demands and manage rising costs, Version 6.10 enhancements focus on helping Paragon customers do more with less; enhance visibility of distribution performance; and provide significant improvements in the user experience and software performance. Amongst the developments in Version 6.10 of Paragon’s routing and scheduling software, there are three key features designed to enable transport operators to reduce planning time and make better use of resources. Required skills automatically allocates qualified drivers for calls that need specific attributes, removing the risk of wasted journeys and streamlining the planning process. Meanwhile, improved resource management functionality provides transport planners with far more detailed information about driver availability at an individual level allowing them to maximise utilisation of all drivers every day. Finally a feature designed to manage electric and hybrid vehicles with limited ranges simplifies the planning process for transport operators that will increasingly have to manage mixed fleets. Newly-developed reporting tools have been introduced to meet the demand for more visibility of transport performance across the organisation. It is now possible to create custom dashboards and charts as standard, which update automatically to show the latest KPIs when using route control and master data editor. In addition, map filtering functionality ensures that windows can be customised based on user preference, while a new stored procedure allows data mining on ETA data. Version 6.10 of Paragon’s routing and scheduling software also includes eight new tracking interfaces to meet demand from logistics operations for tools that provide real-time visibility of a fleet’s performance against plan. Coretex ibright, DataFM, Inkomerc and Verilocation are some of the latest telematics providers to become Paragon technology partners. As part of Paragon’s ongoing commitment to building software with faster processing speeds, larger processing capacity and usability improvements, the company continues to develop its software to take advantage of three-tier architecture. 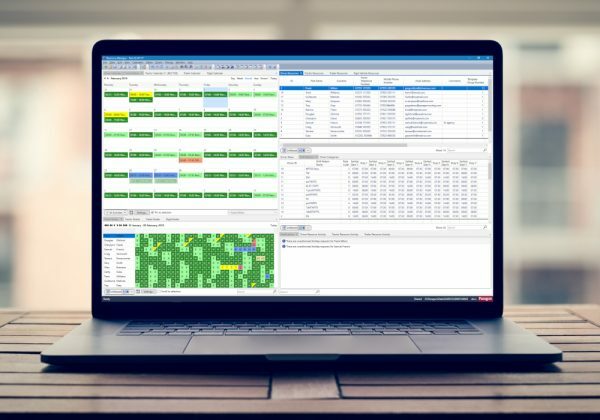 A number of applications have been updated within Version 6.10 including a completely redesigned master data editor that benefits from all the features associated with modular architecture and a sleek new user interface with faster, standardised operation.